Limited Liability Company based in Seychelles is one of the most commonly used offshore business instruments. Companies registered under International Business Companies Act that do not perform any business activity inside the country are not liable for any taxation in Seychelles. What doucments will you receive upon incorporation? What are the requirements to form a company there? International Business Companies are tax free in Seychelles under the condition that their business activity is performed outside of the Republic. There is no requirement to file financial accounts. There is however a requirement to keep financial records for your own management purposes. The government of Seychelles pays special attention to the security of personal information regarding company owners. For instance, the access to the statutory documents can be granted only by court. 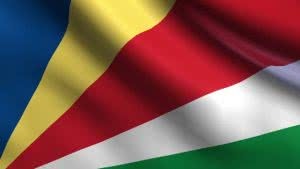 Seychelles laws allow for obtaining bank, insurance and broker licenses. Republic of Seychelles has signed 25 double taxation avoidance agreements. Among the partners can be found well established International business centres such as Netherlands, Singapore, Mauritius, Cyprus.